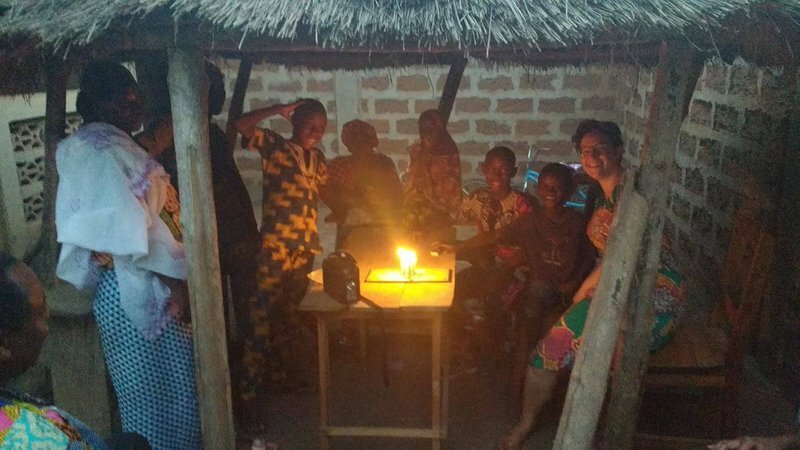 Samantha serves as a English and Gender Education Volunteer in Togo. People have never heard of it and don't know any Jews or what Judaism is. 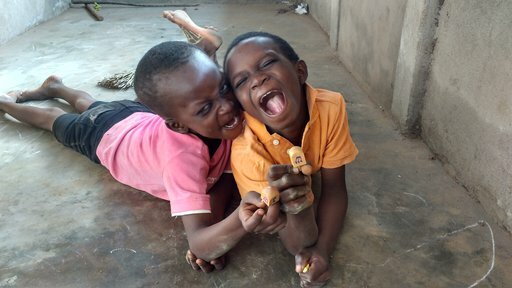 One of the three goals of the Peace Corps is to teach the Togolese people about American culture. We've had many conversations about the diversity of American people and that, no, not everyone celebrates Christmas. Last year, I had the privilege to host a Hanukkah party for my friends here to give them a taste of something new. On the first night of Hanukkah in 2017, I told the kids that we were going to do something special. At first when they saw the Hanukkah candles, they thought they were slingshots. As the week went on, I taught the kids more and more about Hanukkah. Together we played dreidel, lit the candles and I sang the prayers as we danced around. Playing dreidel with my neighbors. On the last night of Hanukkah, I invited my friends and family over for a party! We played dreidel, ate latkes and lit a menorah. I can't express how happy I was to be able to share these traditions with my Togolese family. Although I was pretty proud of my sweet potato latkes cut by hand, they greatly preferred the American-style cookies. After eating, it was time for dreidel. The cool thing was, I wasn't the one who taught it. Nasifou, one of the kids who had learned earlier in the week, explained to everyone else how to play. As the sun was setting at the end of the party, we lit the candles for one last time this year. It meant a lot to me to be able to share the holiday and connect my Jewish identity to my Togolese community. 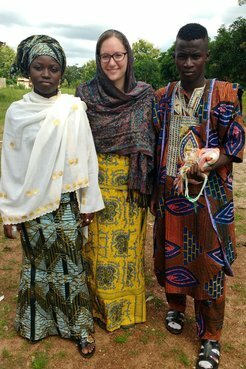 Samantha Wechsler is an English and Gender Education Volunteer in Togo, West Africa.